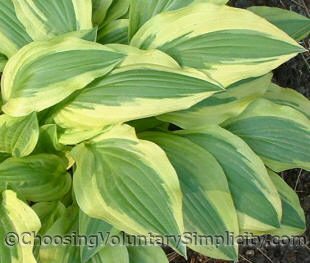 Hosta ‘Ground Master’ has medium to dark green leaves that have wide yellow margins in spring and white margins in summer. The margins are wavy, and the leaves are long and narrow, with a slightly shiny underside. The thinness of the leaves makes this hosta very attractive to slugs. Young Ground Master hostas have smooth leaves, but the leaves develop some corrugation as the plant gets older. This hosta does produce seed pods, and the seeds germinate easily. All of the seedlings I have grown from Ground Master seeds have been shades of green, except for one that is a creamy yellow. Thee from Denmark, now Mass. This is a pretty one, esp. the spring color but I wish the leaves weren’t so thin. I’ve started using SLUGGO and that is helping but I had a horrible problem with snails. I just want to say thank you for all the wonderful hosta information I have been enjoying on your site. I also appreciate the photographs because it is often hard to find out what a certain hosta looks like. Great blog. Thank you. 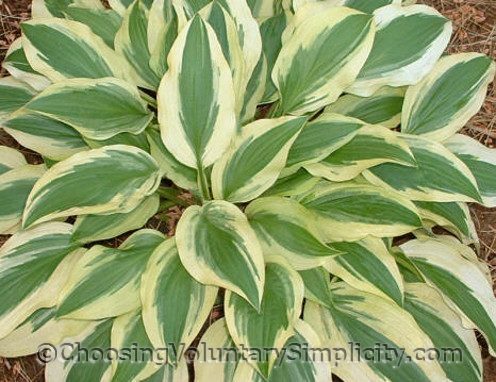 I have a hosta that looks something like this one but it may not be the exact same one. My hostas are mostly dead right now so I can’t compare but next year I’m going to remember to check my hosta against your photos and hope I can identify it. 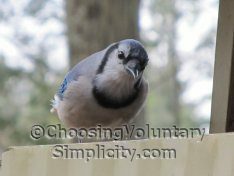 You have some very beautiful photos here and a very inspiring blog. What beautiful hostas! The rest of my family doesn’t share my love of these plants but the next time they question me about it I’m going to direct them to this sight. It is absolutely wonderful to have this information in one place and the photos are beautiful as well as very useful. Thank you and keep up the good work. I know I’ll be back often. Homemade Laundry Detergent — Yes Or No?